It’s inconceivable to think of the under 30s as a single group to reach out to, but it’s all too common to hear “how can we get to the over 60s?” Organisations need to see better engagement with older audiences as necessary and beneficial, not an add-on or a diversion. Older people tend to have far higher levels of disposable income than their 18-30 counterparts, and often have more time to use how they wish, free from the burden of the nine-to-five and the demands of young family life. This should make them an attractive prospect to charities looking to grow their supporter base, generate funds and recruit volunteers. Take time to understand the audience. A person’s actual age is likely to be largely irrelevant as a guide to how to reach them. Their attitude to life and the circumstances in which they live are likely to provide far richer insight. Go beyond the thinking of “over 60s” and consider the individuals. 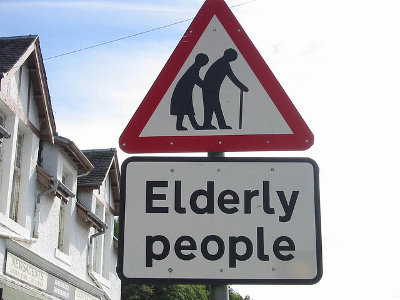 Do you want to reach people who are likely to be caring for other older relatives or partners? Or perhaps someone who is looking for new opportunities and experiences? Will your product, service or issue resonate best with someone who is likely to live a long way from the rest of their family? Are you speaking to someone directly or are they likely to have passed their decision making responsibility for service purchase to a family or friend? Develop audience portraits as you would with other audiences. How much do you know? How much of this is presumption versus fact? Would you benefit from applying planning tools, data sets and running direct research to build a fuller picture? This will all help guide the message and tone of your communications. Map out their touch points in the media, the community, their families and among their wider sphere of influencers and providers. This will ensure you know how to reach people with the messages you’ve developed. Take everything that’s been learnt and build an effective integrated campaign centred around triggering the action you need to achieve your objectives. Taking the time to test your plan and associated creative with a sample of your target audience can be very beneficial at this stage. Implement the activity ensuring you’ve built in strong evaluation criteria to ensure you can learn from what you do. Review and refine as needed and consider what to do next to keep the momentum going. Be authentic – use real, dynamic language and don’t fall into the trap of sentimentality. Get closer to the audience – recognise their diversity by actually talking to them. Relate to reality – take time to think about why they need you. Tell it straight – be truthful, accessible and clear. Don’t patronise. Don’t reject digital – 17% of people aged 65-74 use tablets. Many more are web-savvy. To learn more about Forster’s approach to communicating with older audiences, including their age segmentation model, please contact George@forster.co.uk or call him on 020 7403 2230. George heads the Integrated Campaigns Practice at Forster Communications. Forster is the social change communications agency, focused on building brands with social purpose. He spearheads much of the agency’s work on age.